I made these for Wyatt's soccer team. 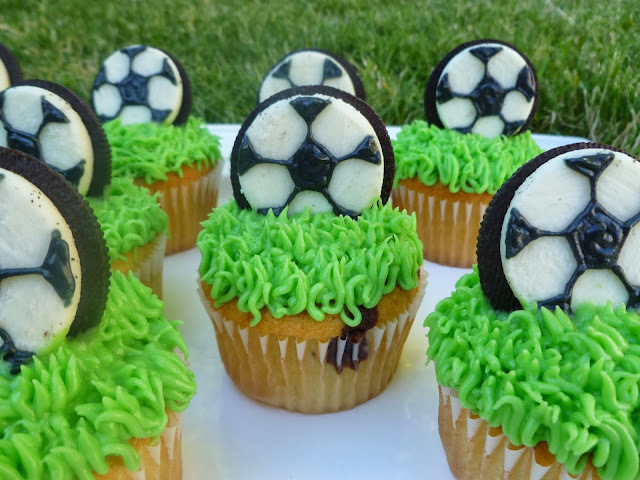 I used a fudge swirl cake mix and an Oreo cookie for the ball. 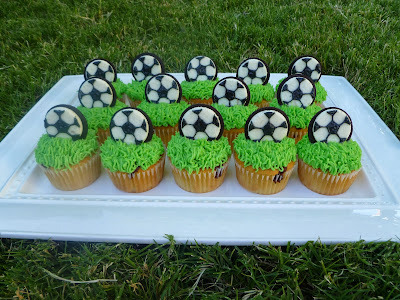 How did you make the cupcake frosting look like grass?